Low maintenance island beds can cut back on time spent maintaining your lawn and can free up time for doing gardening elsewhere on your property. Island beds also have an elegant, trim appearance that can boost curb appeal and make your home look better for guests. These tips can help you create a low maintenance island bed. Landscape fabric is a fabric that is placed underneath soil or mulch to prevent weeds from growing up around plants. 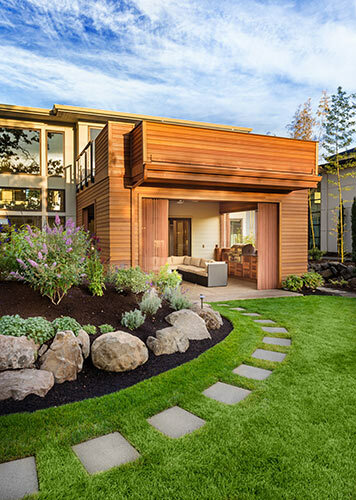 Often, homeowners lay down a layer of landscape fabric and cut out spaces for plants to be inserted into the soil underneath. Mulch is placed on top of the fabric to hide it. Landscape fabric does not prevent weeds from ever growing on your island bed, but it does stop them temporarily. Mulch serves the same purpose by shading the soil and making it harder for weeds to grow. Native shrubs and flowers have a way of thriving in local environments. Planting native species on your property helps to ensure that your landscaping flowers will require little or no extra watering in a typical season where you live. Native shrubs and flowers also tend to be resistant to native pests, so you may also find yourself using little or no pesticides on your property. You may have a hard time finding native plants if you shop at a local big box store. Most people in search of native plants can find what they’re looking for by visiting local home and garden shows or by going to local nurseries. Shop around until you find the plants you want. Some plants thrive in shade, while others need full sunshine in order to survive. 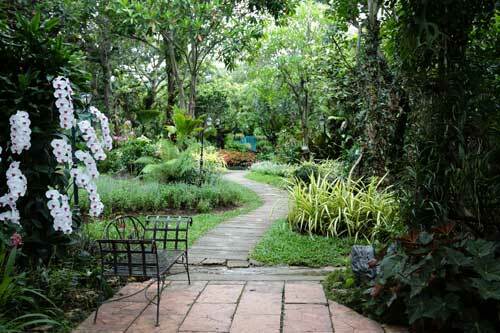 Either way, you need to choose plants that are well suited to the environment where they’ll be growing. Watch your lawn on a sunny day to gauge how many hours of sunshine can be expected in the area where the plants will be installed. Then, once you know how much sun your lawn gets, buy your plants accordingly. Watering takes up a lot of time, especially if the plants you buy are non-natives. You can cut a lot of the time out of watering by installing a drip irrigation system that can be turned on and off easily. For ultimate convenience, set up a timer that will turn on and off the water as needed. Borders are an important part of island beds. A well made border can help keep your island bed well contained and give your island bed a definitive shape, which can make it more attractive for visitors and passersby. 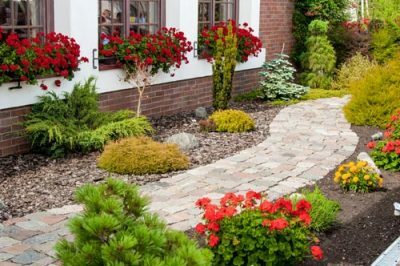 A good border can also help contain the mulch, thus preventing it from being lost in your yard. If your mulch is made of rock, this can also help protect your lawn mower from stray pebbles. Finally, a good garden curb adds a nice accent to your garden island. 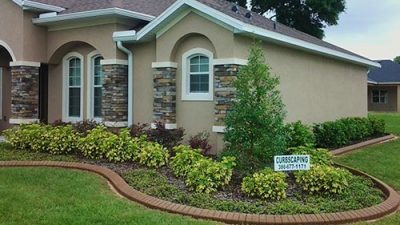 Garden curbs come in different colors and shapes, so you can pick the curb that complements your landscaping perfectly. To have a curb properly installed, contact a garden curb company that is reputable and knowledgeable in your area. Working with a well known company can help ensure that your garden will look its best. Have more questions about how to make a low maintenance island bed? 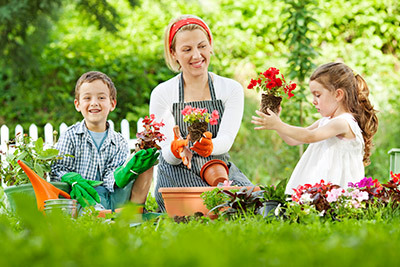 At Daytona Classic Curbs, Inc., we’re happy to help you with your gardening projects. To find out more about installing an island bed in your front yard, contact us today.